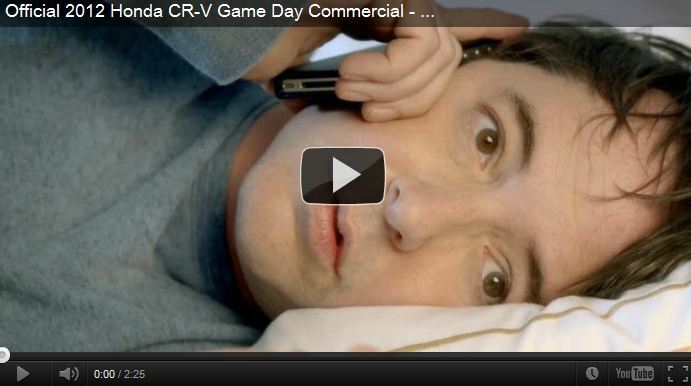 Ferris Bueller is back for the 2012 Super Bowl. Matthew Broderick is reprising his classic role for a new Honda ad that will air on Sunday. The commercial, whose preview was released last week, has become one of the most discussed Super Bowl commercials before the big night. The preview did not reveal the brand being advertised, but bloggers figured it out. Now that the cat’s out of the bag, Honda has released the full two-minute ad. In it, Broderick takes another day off (this time, from a film shoot) and seeks out adventures in his Honda CR-V. The spot includes the 2012 interpretation of Mr. Rooney and the famous Ferrari scene. Watch the full ad in the clip above.